Here is a long overdue post on what I have been working on in the past few months: Symmetrain. I posted some screenshots at the beginning of this year but have not shown any updates. Since the basic mechanic is very simple I feared that the game would copied early on before I could release my own version. The game is a combination of spot-the-difference puzzle and auto-runner. 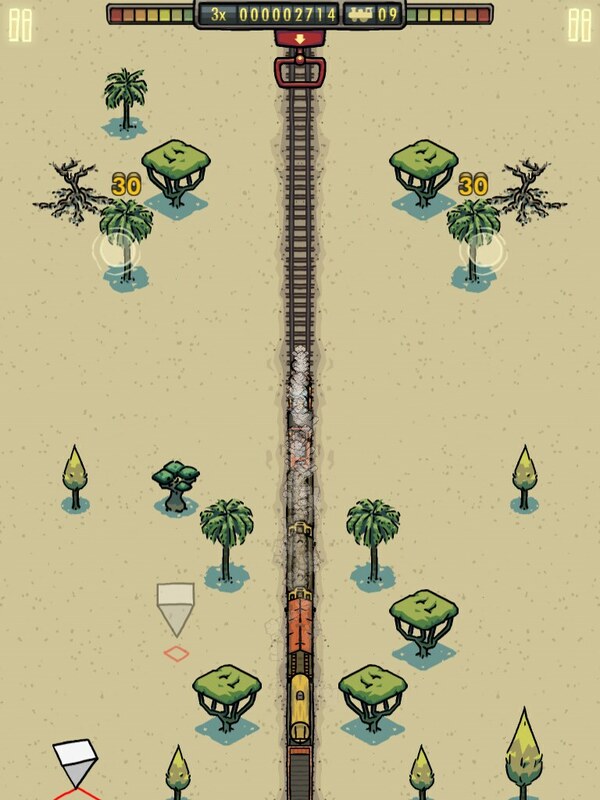 Your task is to keep a train from slowing by looking for differences in the vertical scrolling, almost symmetric, landscape. You collect points not only for travelling as far as possible but also for correctly tapping the variations. 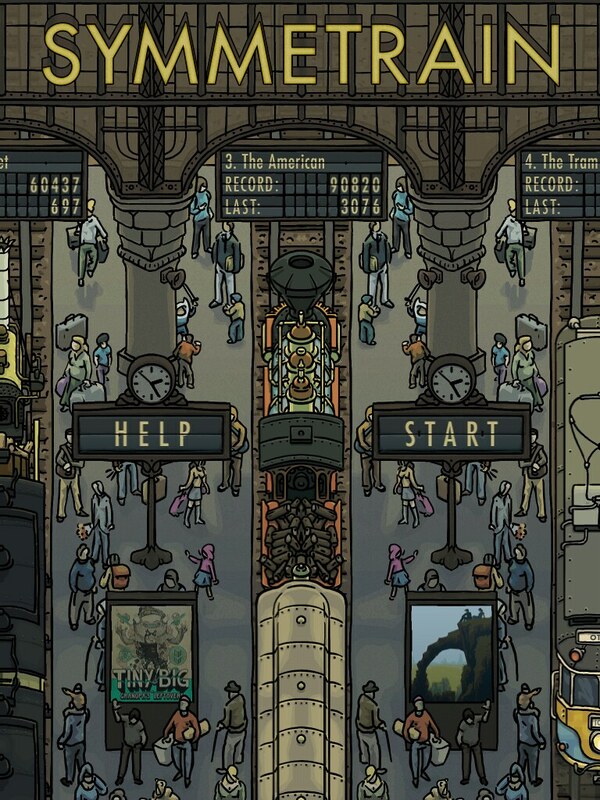 As the game progresses the train picks up speed thus making it more and more difficult to play. You lose speed for tapping the wrong spots. The game will end once you run out of errors to make. 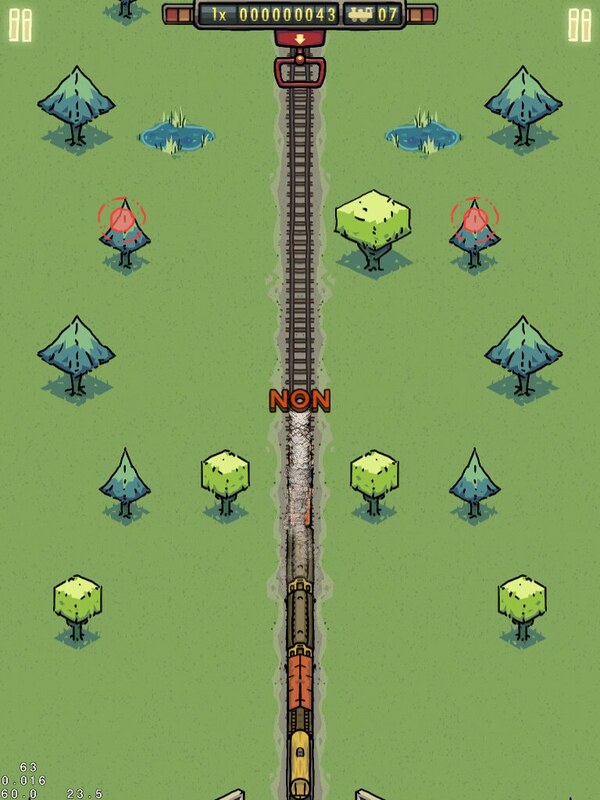 To add variety to add the game you can choose between different trains that vary in their starting speed. I am also considering adding a “minimal” mode that is reduced to the simplest joy of tapping. No speed increase, no high score competition – just travelling through the landscapes of Symmetrain. Symmetrain will be published by my good friends of Black Pants and it will be released in few weeks.